How do I print a shift schedule? You can print a shift schedule for you or your employees directly from the schedule page. 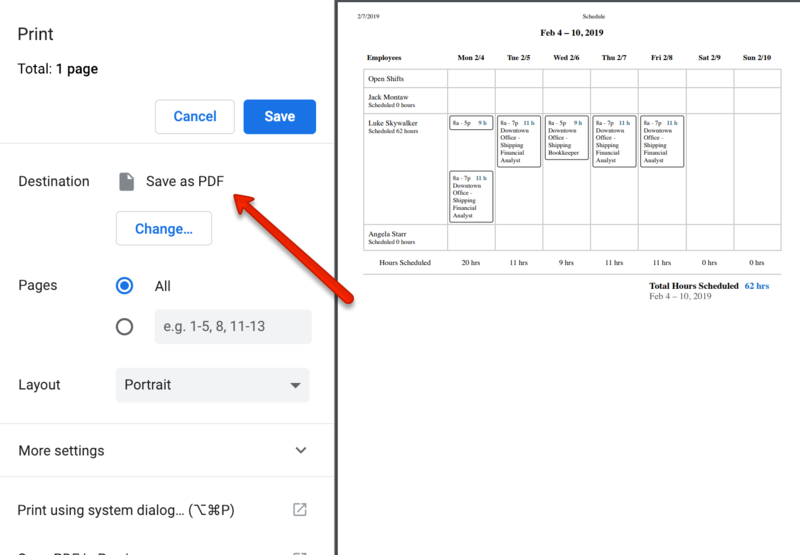 If you'd like to print a shift schedule, you can do this from the schedule page by selecting Schedule in the top navigation. Once on the scheduling page, you'll see a dropdown Options menu on the right side of the page. Click the dropdown and select Print. The print view is based on your calendar view. If you'd like to print for just one employee or for the entire month, you can change your filter options. Aside from printing, you will also have the option of saving the schedule as a PDF.